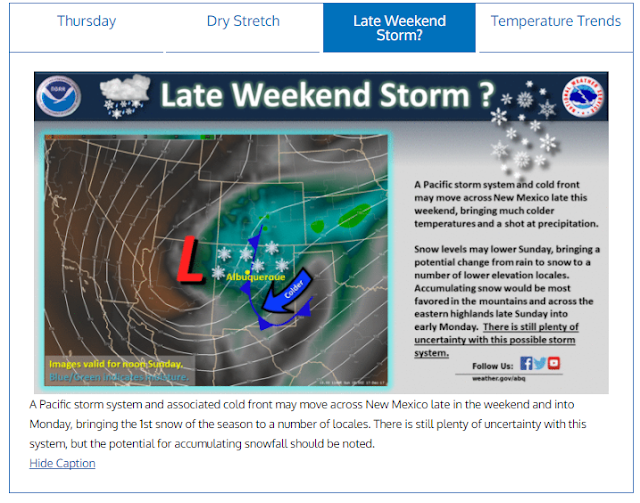 Colder & Stormier Starting This Weekend. 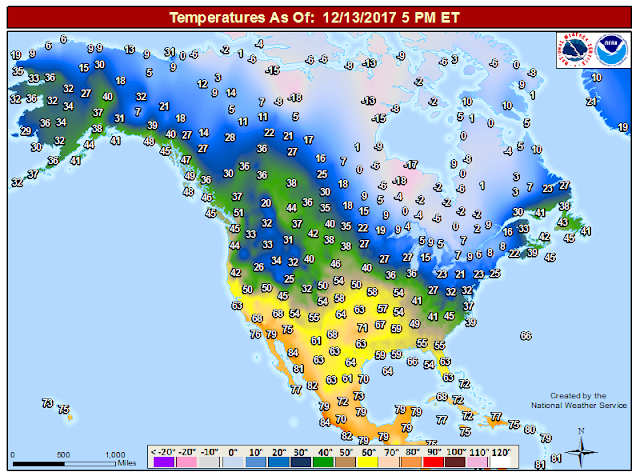 3 PM MST Temperatures Wednesday, Dec 13th, 2017. RTMA 3 PM MST Temperatures Wednesday, Dec 13th, 2017. 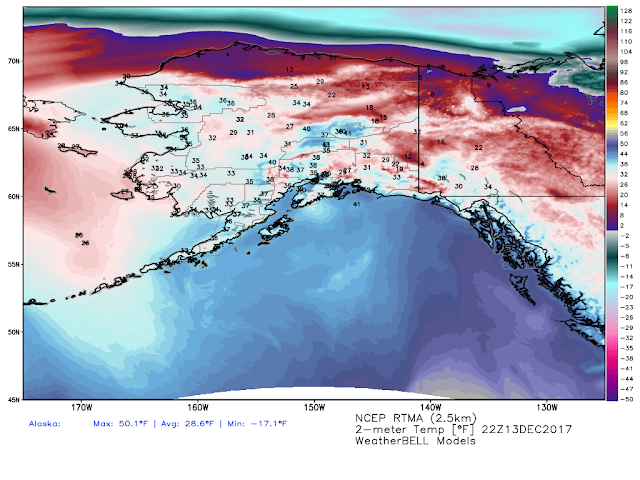 Even Alaska Has Warmed Up. 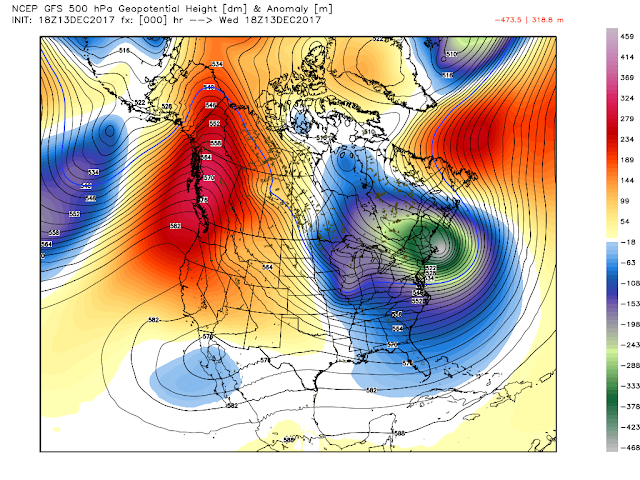 GFS 500 MB (18,000') Analysis. 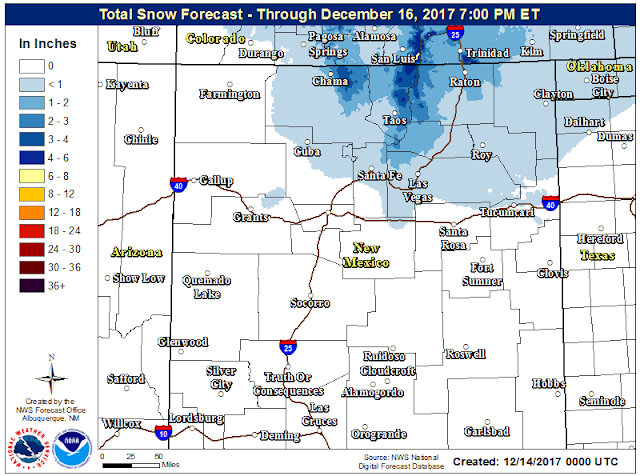 Valid At 11 AM MST Wednesday, Dec 13th, 2017. 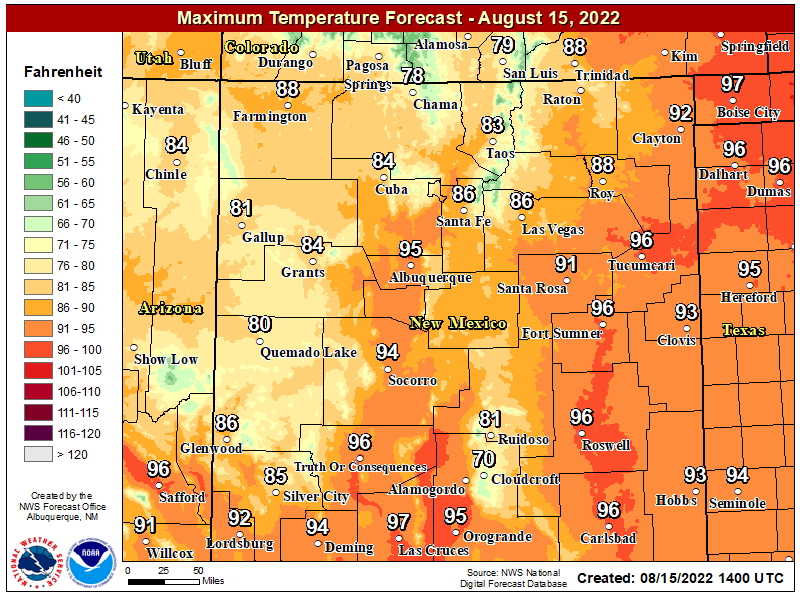 A massive ridge of high pressure at the mid levels of the atmosphere stretching from the Northwest Territories of Canada south down into southern California has been in control of our weather. 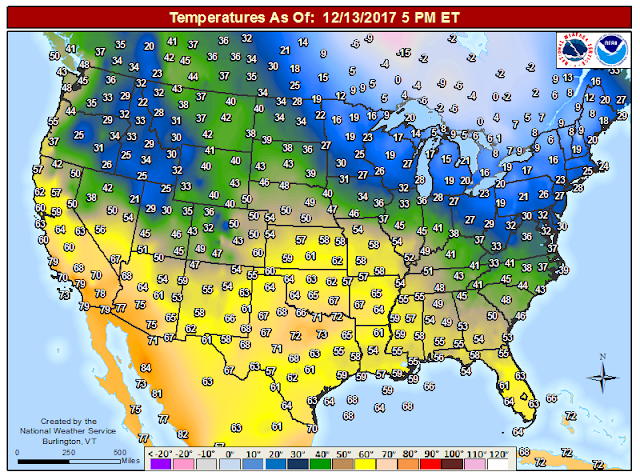 This ridge of high pressure has effectively been blocking any inbound storms from moving onto the West Coast and moving east or southeast into the Western and Southwestern U.S.
As of 4 PM MST I had reached a high temp here at our home in Carlsbad of 67ºF after a low this morning of 24ºF. The Carlsbad Airport dropped down to 19ºF. Normal high for the date for Carlsbad is 58ºF and 27ºF. 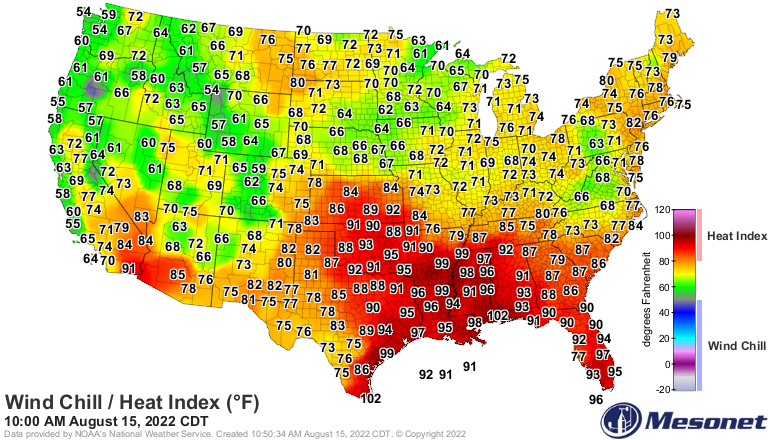 Average Temperature For The Nation. (December 1st - December 12th, 2017). 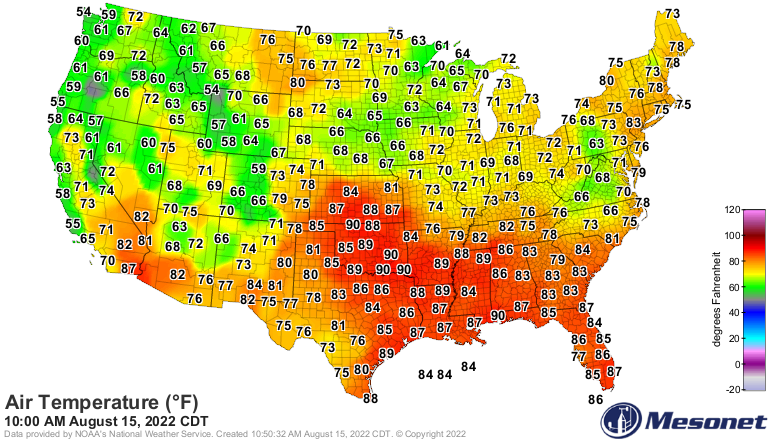 A good two thirds of the nation is averaging above normal so far this month but won't last much longer. This is the result of the ongoing La Niña which has diverted the jet stream track up into Alaska and Canada then southeastward into the Northeastern U.S.
Much Colder As We Head Towards Christmas? Eastern Pacific Oscillation (EPO) Forecast. 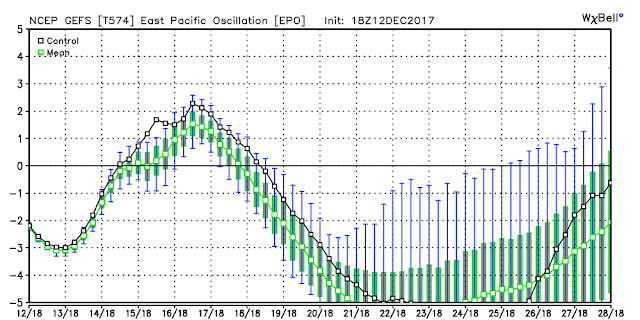 Currently the EPO is slightly negative and is forecast by the NCEP GEFS Model to go positive from the 14th through the 17th then it is forecast to take a massive dive (about as low as you can go too) into Christmas week. Should this model forecast verify this will have huge impacts upon the nations weather including our own. So What Is The EPO And How Does It Affect Our Weather? 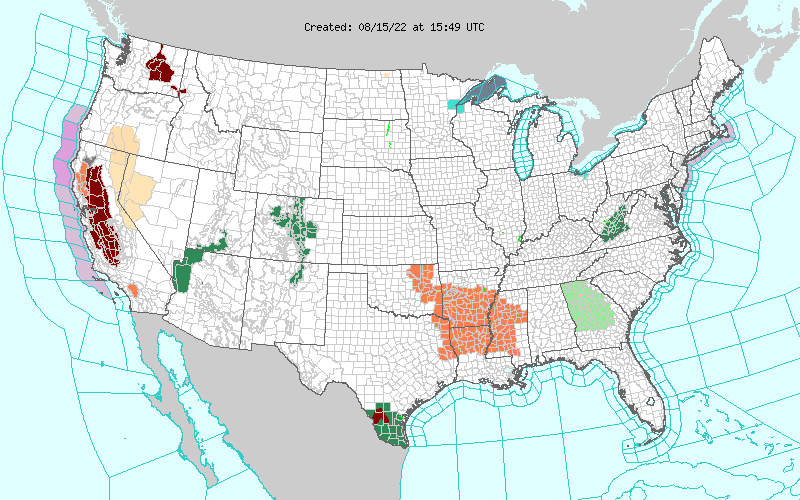 There are a number of atmospheric oscillations that are important drivers of week-to-week weather patterns across North America. 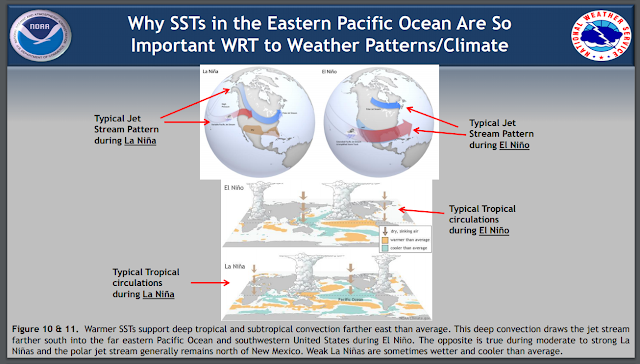 The Arctic Oscillation (AO) and the North Atlantic Oscillation (NAO) often get the most attention, but one of the most important pattern oscillations for North America is the Eastern Pacific Oscillation or EPO. As the name implies, the EPO is a variation in the atmospheric flow pattern across the eastern Pacific, as well as Alaska. 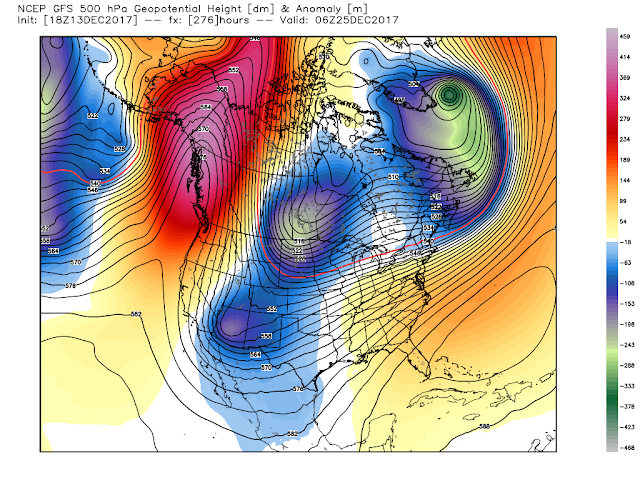 When the EPO is in a positive phase, mild Pacific air flows straight into the West Coast of North America. 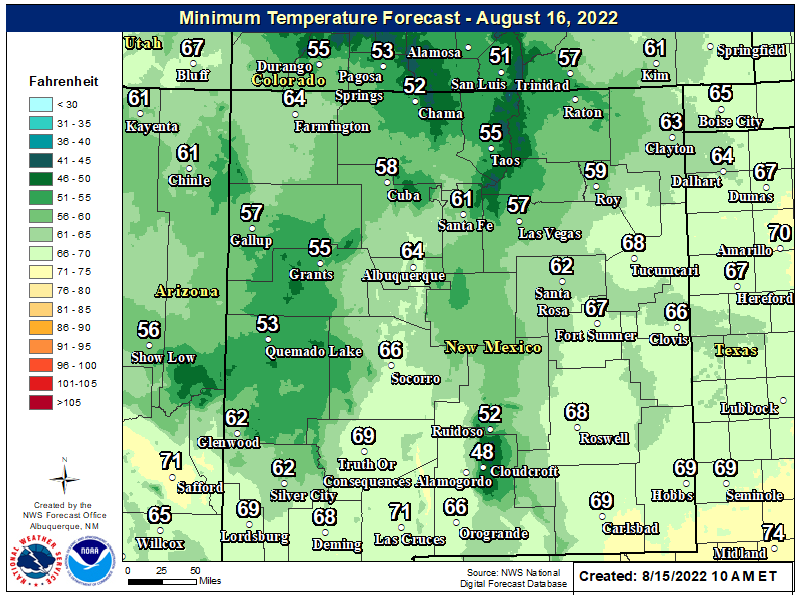 While such a pattern can bring significant rain and snow to the western portions of the country, the air flow warms and dries as it descends down the eastern slope of the Rockies. 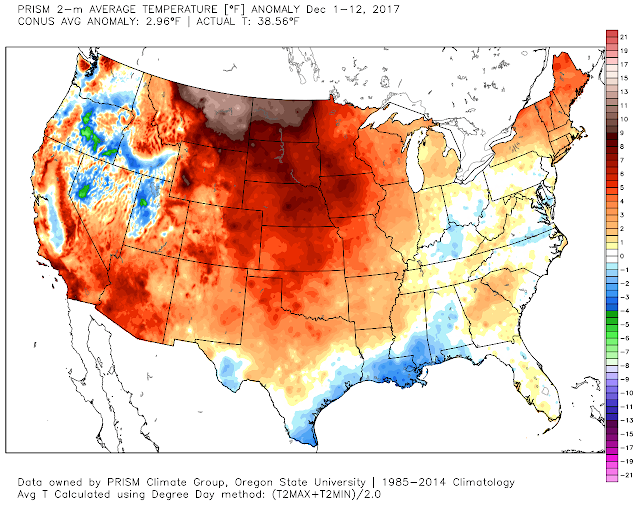 This results in a warmer than normal pattern across most of the central and eastern portions of the U.S. and southern Canada, particularly during the winter season. 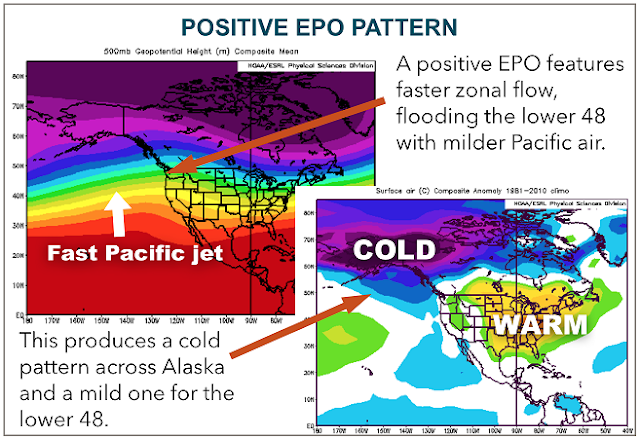 The upper level flow pattern and the distribution of warm and cold air during a positive EPO pattern is shown in the image below. 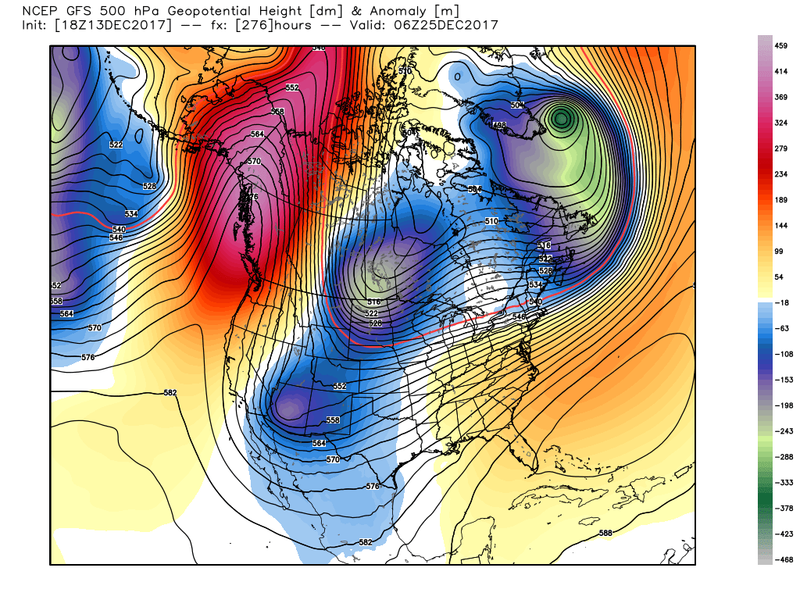 Conversely, when the EPO is in a negative phase, a ridge in the upper levels of the atmosphere is present over the eastern Pacific off the West Coast. This ridge is just an area where the air pressure, at a given altitude, is higher than in surrounding areas. That ridge of higher pressure air blocks the flow of Pacific air from reaching the West Coast. Instead, the air flows around the ridge, with a large portion of that redirected air flowing up towards Alaska and into the Arctic. 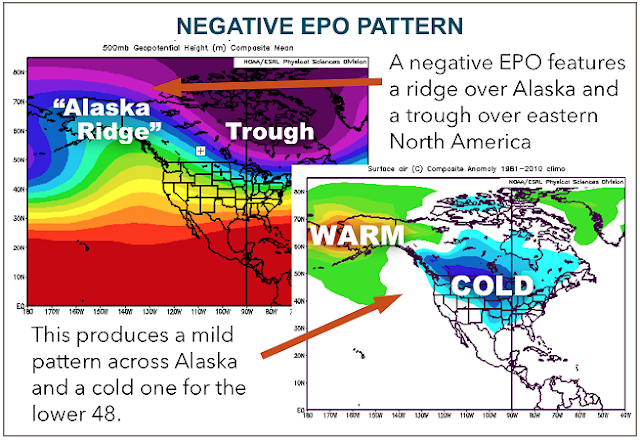 As a result, when the EPO is negative, Alaska turns warmer than normal. The same ridge that turns Alaska warmer also directs more air flow southward out of the Arctic into central portions of North America. 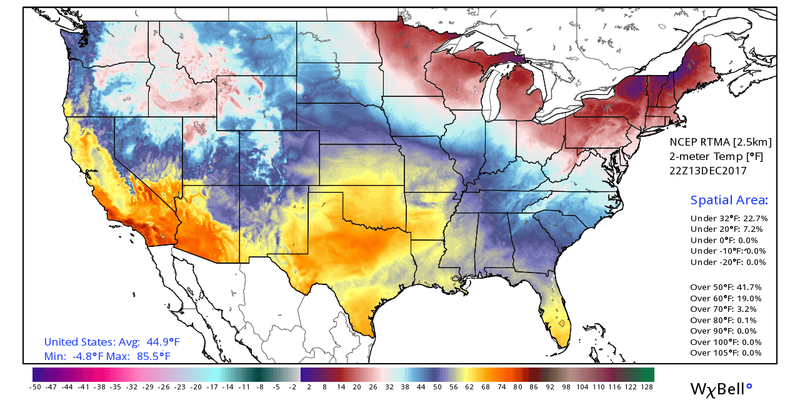 That in turn allows for cold air to build and spread southward out of Canada, resulting in a colder than normal pattern for much of Canada and the northern US. Negative EPO patterns tend to focus the strongest cold between the Rockies and Great Lakes, with the intensity and extent of the cold air largely determined by both the strength and longevity of the ridge off the West Coast. A stronger and longer lasting ridge will allow for a stronger and larger cold air mass to build, resulting in more widespread and stronger cold anomalies across the country. A typical negative EPO pattern is shown in the image below. There are other factors at work that are controlling our winter weather such as the ongoing La Niña and the Madden-Julian Oscillation (MJO). 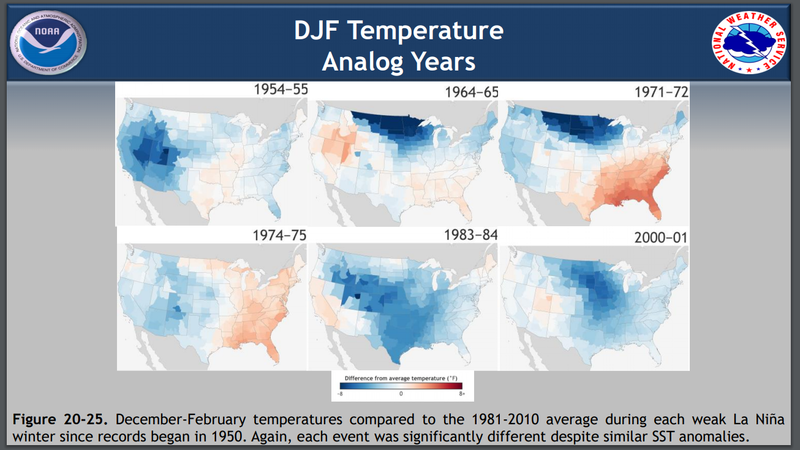 Weak La Niña Analogs Favor A Colder Winter? 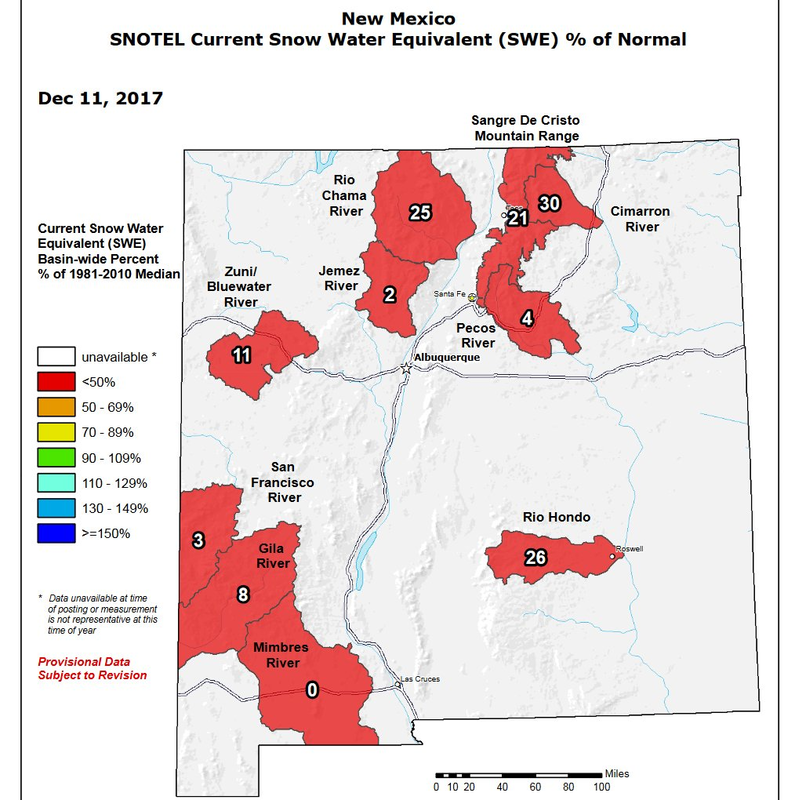 La Niña Wrecking Havoc On New Mexico Snowpack. With the storm track shut off or blocked by the mid level ridge of high pressure for the better part of this fall and beginning of the meteorological winter the snowpack across New Mexico's mountains is well below average. 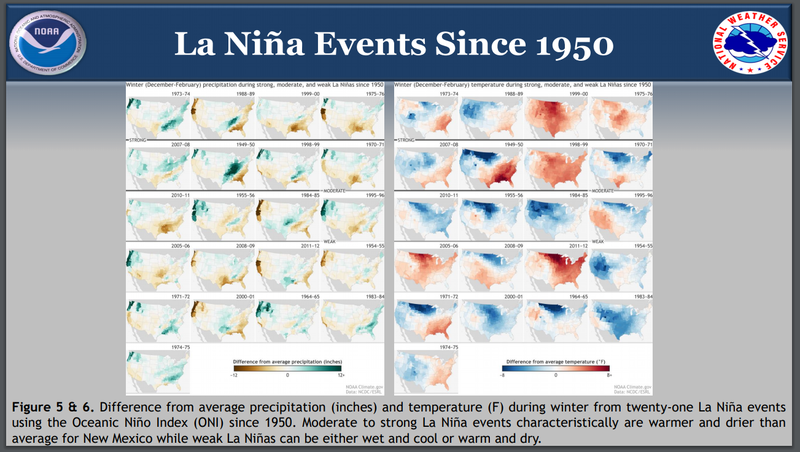 La Niña History In New Mexico Since 1950. 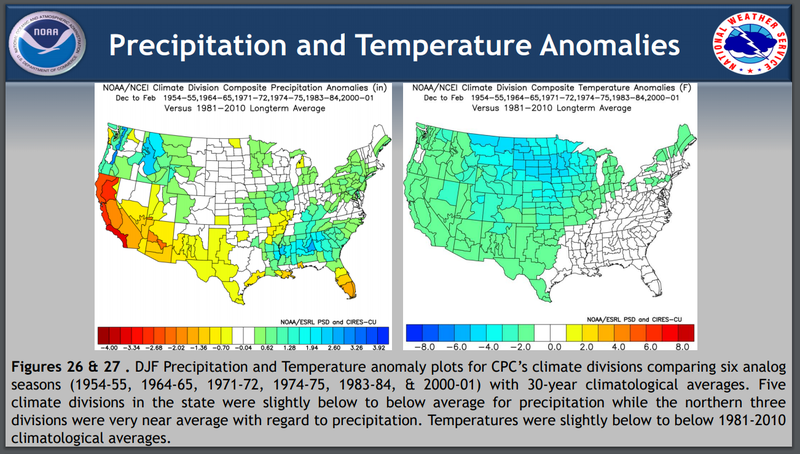 Moderate to sStrong La Niña's usually produce warm and very dry winters in New Mexico with below average rainfall and snowfall. 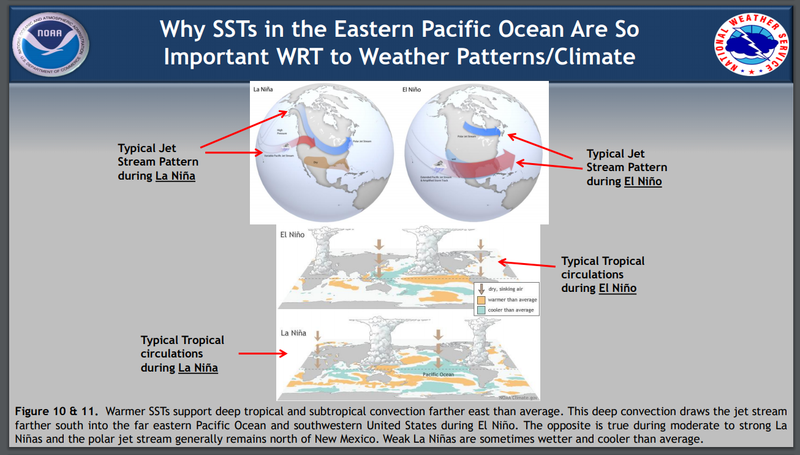 Our worst droughts are the result of Strong La Niña's. Weak La Niña's can sometimes produce wet and cool winters. Given the weak state of this La Niña and the forecast for the Eastern Pacific Oscillation (EPO) to tank going into Christmas week, and using the analog years above, it appears that old man winter will soon come a knocking on our door. 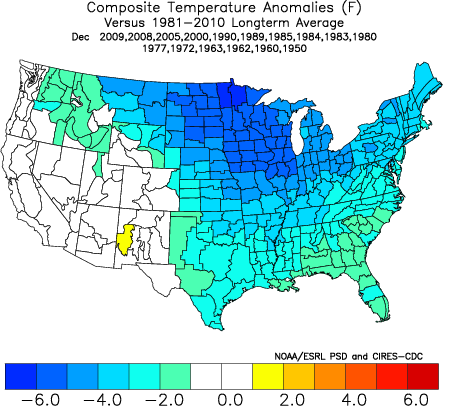 Negative December EPO Analog Years. Historically using the following analog years for December our local climate records (NWS Midland, NWS Albuquerque) show some impressive cold temperature readings for December. I recorded 7.0" of snow on December 1st here in Carlsbad, 3.1" on the 4th, and 6.0" on the 30th. I ended the month with 17.5" of snowfall. 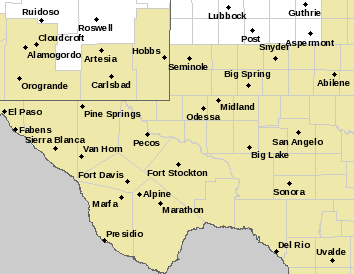 On December 8th and 9th Elk recorded a low of -3ºF, Tatum -3ºF, Ruidoso 0ºF, Artesia 1ºF, and Roswell 4ºF, and Carlsbad 4ºF. 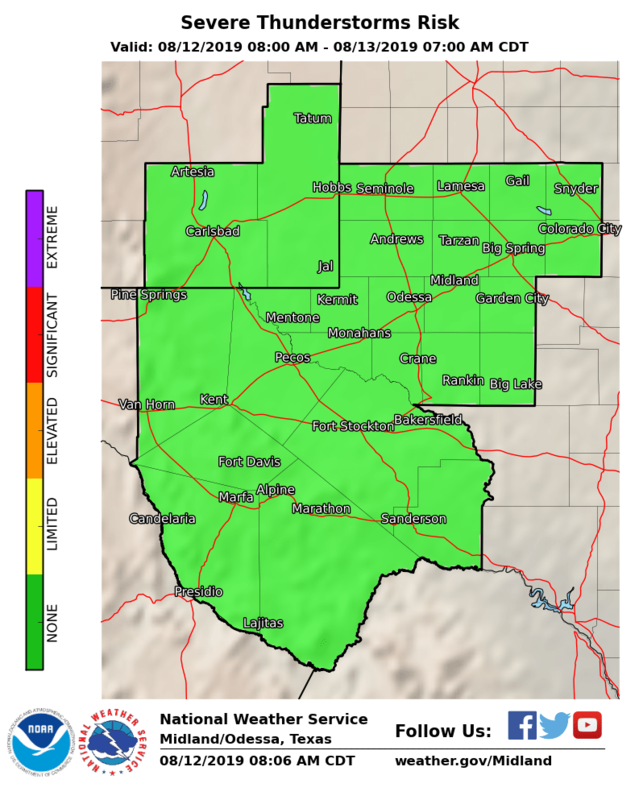 December 24th Cloudcroft recorded a low of -5ºF, Elk 2ºF, Artesia 2ºF, Roswell 5ºF, and Hobbs 8ºF, and Carlsbad 10ºF. 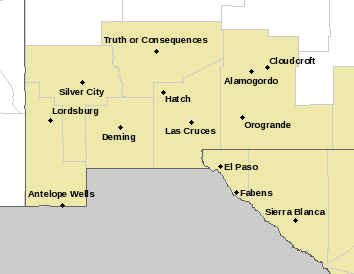 December 23rd, 24th Artesia recorded a low of -1ºF, Tatum -1ºF, Hobbs 3ºF, Carlsbad 4ºF, and Roswell 5ºF. 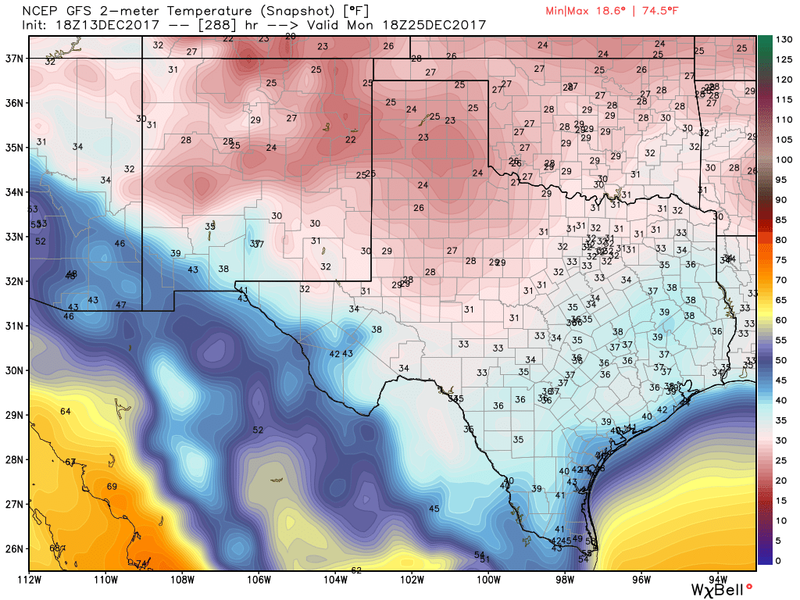 December 29th Roswell recorded a high of 21ºF and a low of -5ºF, Elk recorded a low of -15ºF, Artesia a high of 28ºF and a low of-4ºF, Carlsbad a high of 24ºF and a low of -4ºF. 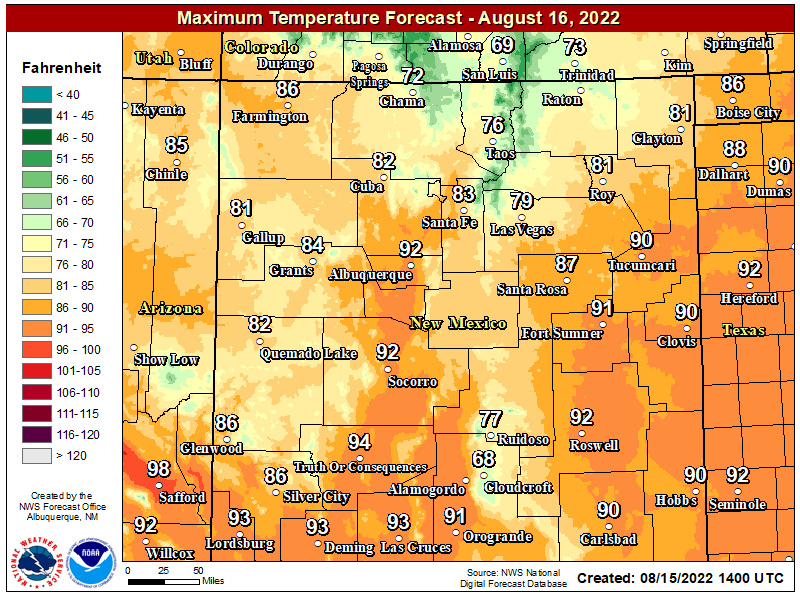 It would appear that given what the long range model teleconnections and the long range forecast models are forecasting that we are due for some single digit if not below zero readings locally later this month. Next Winter Storm Arrives Sunday & Monday. 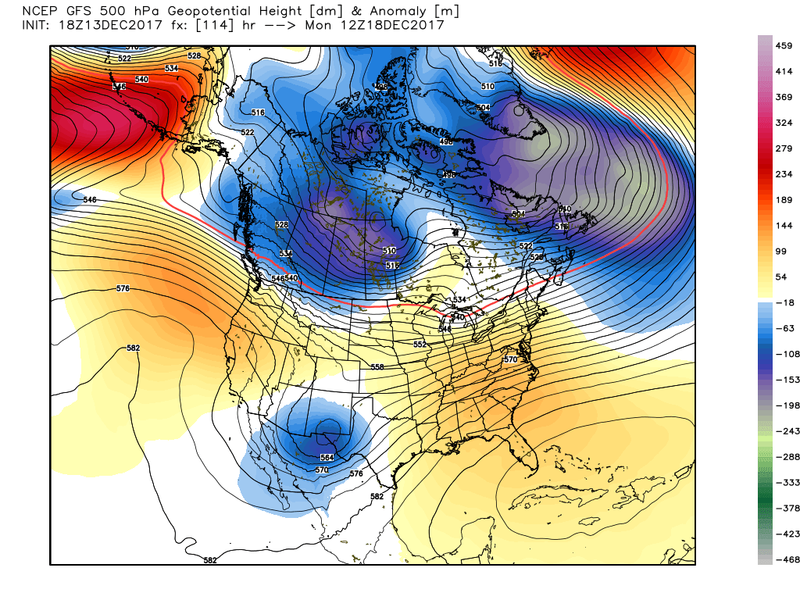 GFS 500 MB (18,000') Forecast. Valid At 5 AM MST Monday, Dec 18th, 2017. A storm looms on the horizon. 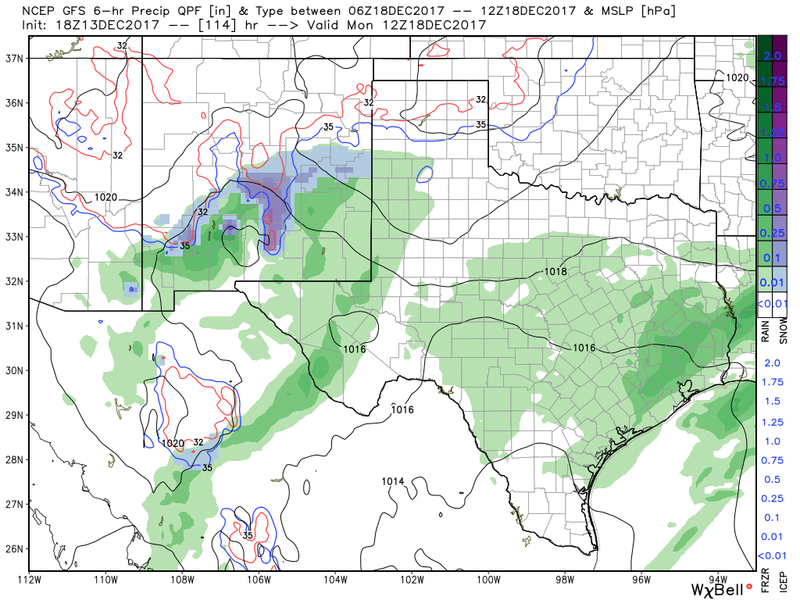 A closed mid and upper level low is forecast to drop into the Desert Southwest this weekend and then lift over the area Monday. 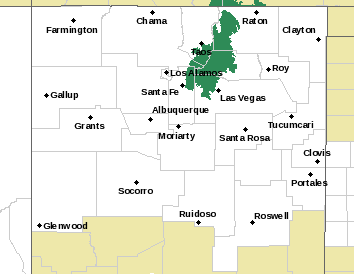 This storm is forecast to bring a mix of lowland rain showers and mountain snows to the state. 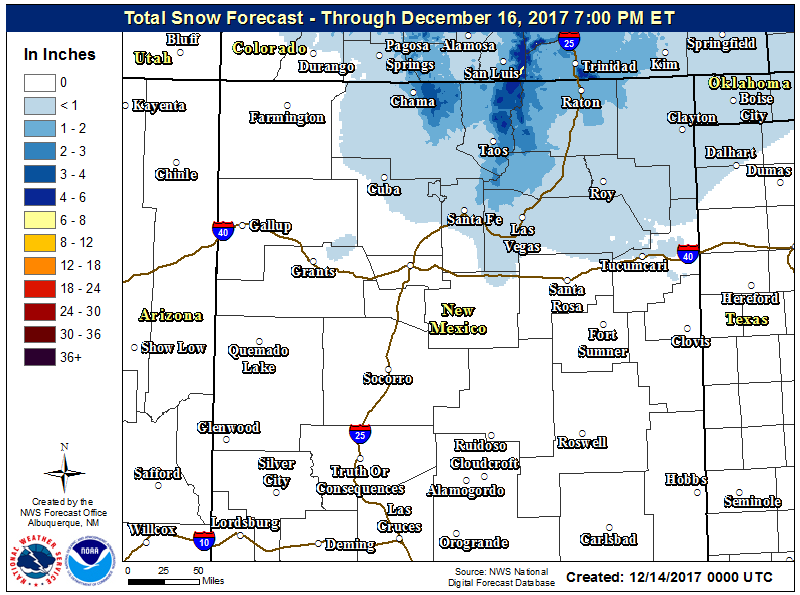 Valid At 5 PM MST Monday, Dec 18th, 2017. 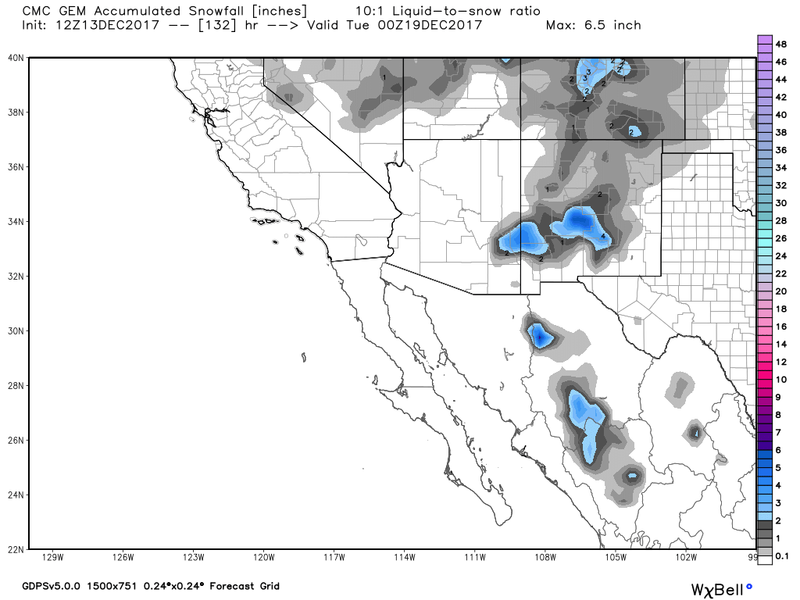 NWS Albuquerque Experimental Snowfall Forecast. 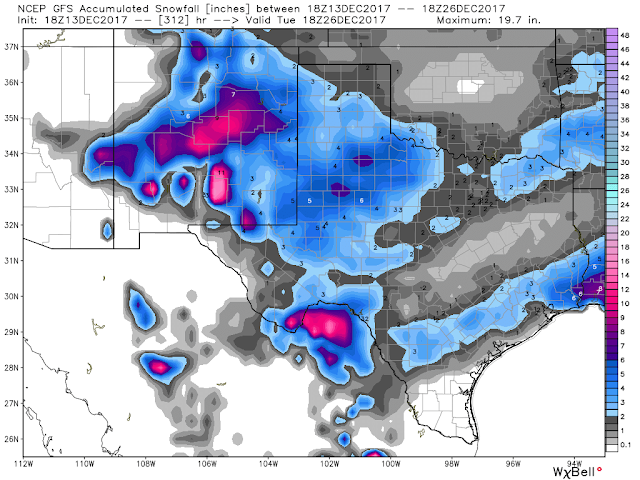 Overall the compute forecast models don't have a good handle on the outcome of this upcoming weekends and the first of next weeks storm. 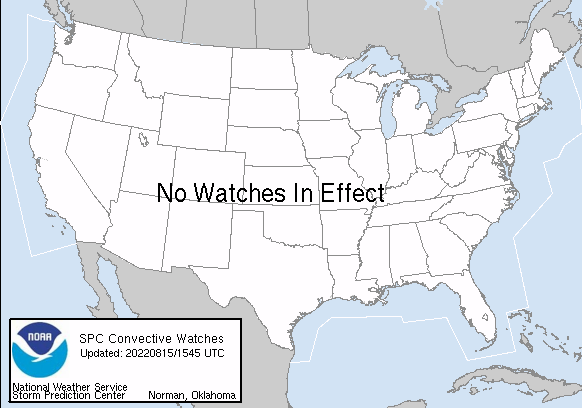 This mornings run of the European (ECMWF) model showed no snow for the state which I don't buy. Overall we will see the first changes in the long range pattern with our this next storm with a trend towards colder and snowier weather as we progress towards the Christmas Holidays. First Look At Christmas Weather. 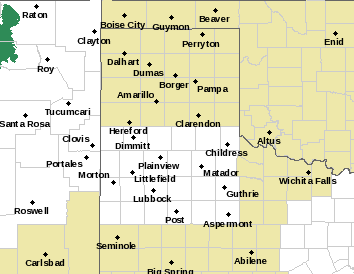 Valid At 11 PM MST Christmas Eve Night. 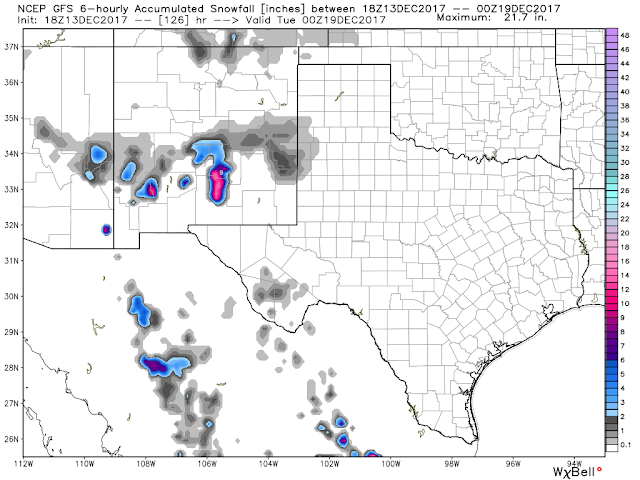 Valid At 11 AM MST Christmas Day. 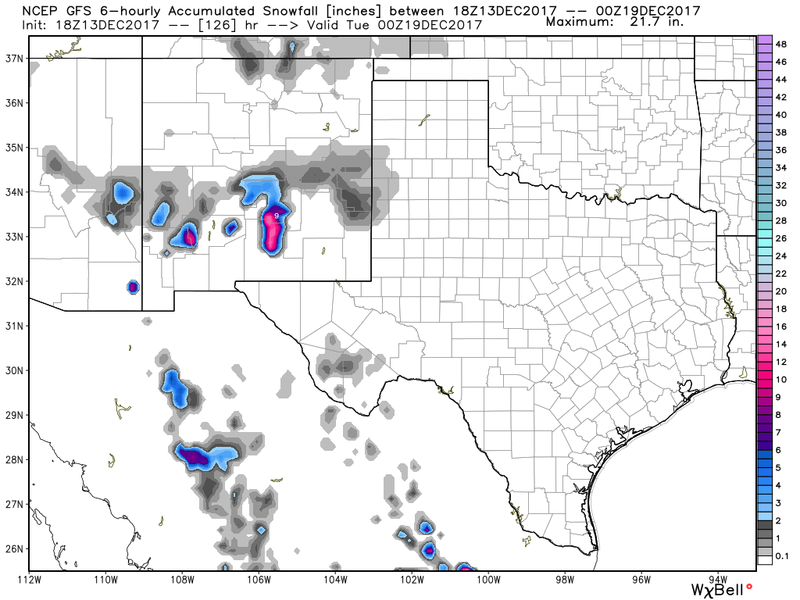 Valid At 11 AM MST Tuesday, Dec 26th, 2017. For days now the U.S. GFS forecast model and even its ensemble runs have been trending towards much colder and snowier weather for Christmas week. Naturally this far out in time its hard to put much confidence in this forecast but we given the changes discussed above (Negative EPO) and long range teleconnection forecasts...it should be noted that the potential for much colder and snowier weather is on the way. In fact the pattern appears favorable for a cross-polar flow which would drive arctic air deep into the heart of the nation. I wouldn't put a lot of stock into the Christmas forecast depicted above. Without doubt there will be changes in the model forecasts between now and Christmas but overall you get the idea.